Australian lithium mining firm Talison Lithium expects demand for the metal to triple over the coming years as uptake of electric and hybrid vehicles increases. 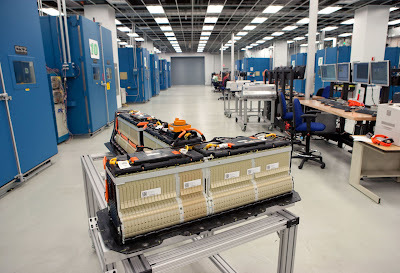 Executives at the firm told the Australian newspaper that demand for the metal is expected to spike as car firms look to buy up one of the key components in electric vehicle batteries. Demand for the metal has grown by 5.5 per cent a year over the past decade, driven mainly by its increased usage in batteries for mobile phones and hand-held computers. But with lithium-ion cells emerging as the battery of choice for many electric vehicle manufacturers, including Toyota, Daimler, BMW and China's BYD, demand is now expected to expand rapidly. Sanyo Electric, one of the world's leading producers of batteries, has also predicted that demand for lithium-ion batteries could more than triple to $60bn over the next 10 years. Talison sold more than 250,000 tonnes of lithium concentrate in the fiscal year to the end of June, mostly to Chinese battery makers, and Talison chief executive Peter Oliver said his main dilemma is not whether to ramp up production, but how soon. "The only question is the timing," he told The Australian. Generous subsidies for the purchase of electric cars introduced this year in China are likely to spur demand, as are similar schemes in other countries around the world. Some expansion is already underway. Talison recently completed an expansion of its Greenbushes mine in Western Australia, boosting output by 20 per cent, and is planning a further upgrade next year to lift the mine's capacity to 62,000 tonnes a year. The company had ordered $20m worth of equipment for the next phase of expansion at the mine. The global market for lithium is valued at more than $4bn a year, and the metal is used in an extensive list of applications, including batteries, specialty glass, lubricants, pharmaceuticals and lithium alloys. Lithium prices shot up to a peak of $5,500 a tonne in 2008 but weakened with the on-set of the global financial crisis. The metal now sells for about $4,500 a tonne in China and some analysts are predicting prices could rise further. Australia has the largest reserves of Lithium deposits of any single nation around the world and is amongst the world's top six producers of the metal. The bulk of other reserves are in South America. Lithium supply remains in the hands of a relatively small number of well established companies, and many analysts say that if demand grows too fast prices may rise sharply, slowing the progress of electric vehicle development. Despite these concerns recent studies suggest the long-term health of the market remains strong. A major report in 2008 found that there are 150 million tonnes of lithium carbonate around the world. Current global annual production of the metal is 0.13 million tonnes of lithium carbonate a year. Geologist Keith Evans, who headed up the study, wrote at the time that reserves would be adequate for some time. "Concerns regarding lithium availability for hybrid or electric vehicle batteries or other foreseeable applications are unfounded," he wrote.